Saudi Arabia refuses to allow Israeli chess players to compete at the international chess championship. 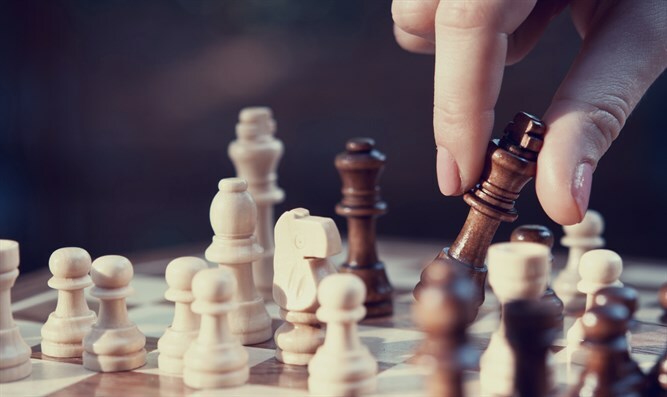 Saudi Arabia confirmed on Sunday that Israeli chess champions will not be issued visas, effectively barring them from competing in this week's chess championship in Riyadh. Israel had attempted to send seven chess champions to the international speed chess championships in Saudi Arabia. However, the Saudi government has refused to grant the Israel chess players visas, meaning that they will likely be unable to attend the match. Riyadh also refused visas to delegations from Iran and Qatar. Israel Chess Federation spokesperson Lior Aizenberg told Reuters that efforts were underway to include Israel in the tournament. It has historically been challenging for Israeli athletes to compete at sporting events that are held in Arab countries. In October, the Israeli delegation heading to a Judo competition in Abu Dhabi was left stranded at Ben-Gurion Airport after Abu Dhabi refused to allow them to fly via Turkey. The 12 Israeli judokas were supposed to receive their visas to the United Arab Emirates in Istanbul and arrive for the competition on Monday. The team had to travel to Amman to receive the visas instead. The Arab nation also discriminated against the Israeli athletes by refusing to to permit them to wear the Israeli flag during the competition, forcing them to compete under the International Judo Federation's (IJF) flag instead. In 2009, the Association of Tennis Professionals threatened to ban Dubai from hosting future Tennis events after the country barred Israeli Shahar Pe'er from participating in the Dubai Tennis Championship.